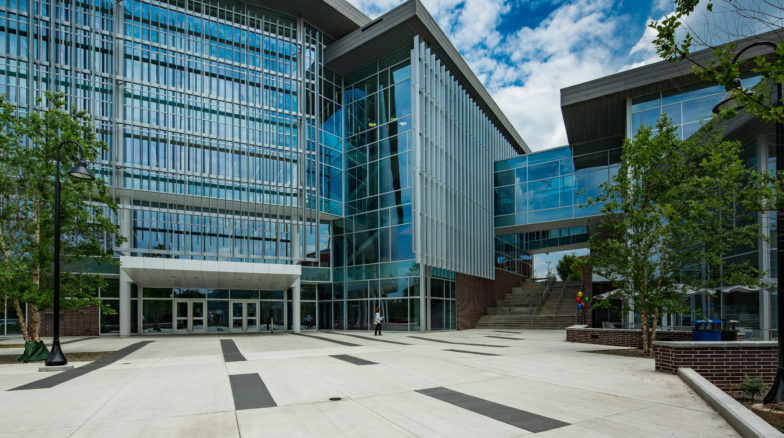 The new UNC School of the Arts Library Building is located between the Elhe Drive entrance and heart of campus at Waughtown Circle. 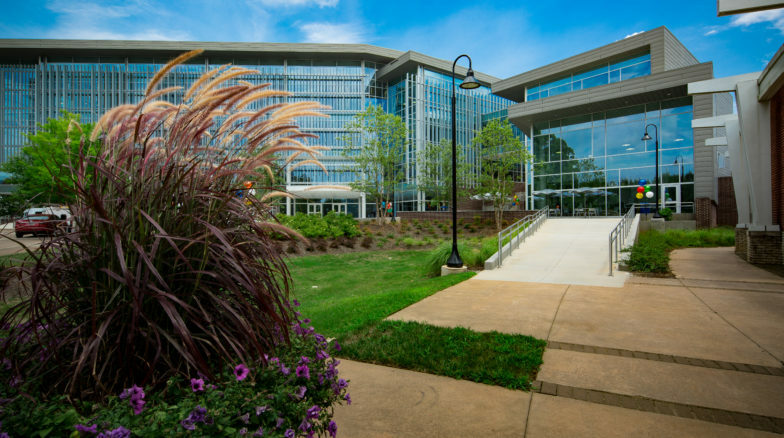 The entrance of the building faces Waughtown Circle and opens to a large plaza that enhances the campus open space. 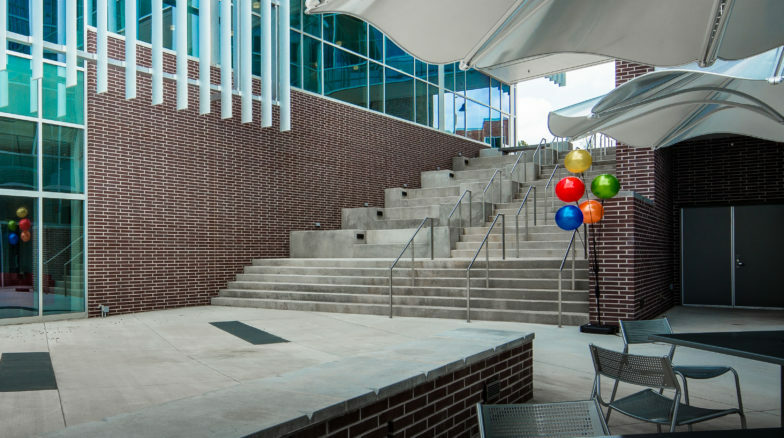 Two upper-level building corridors create an opening in the building below, in which a monumental staircase ascends two stories and connects pedestrians from the center of campus to Elhe Drive.